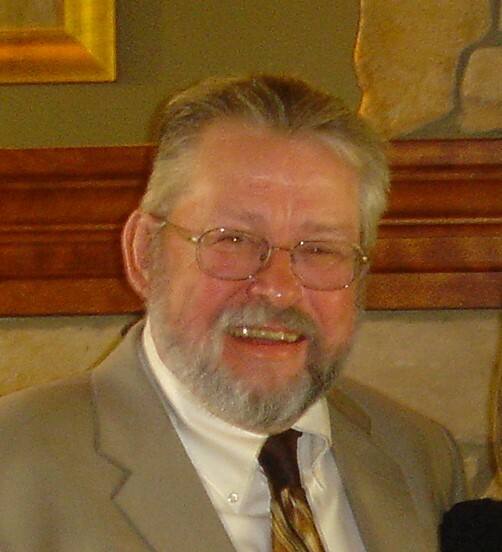 Robert L. “Ducky” VerDugt, age 79, of Miltona, died on Wednesday, March 20, 2019, at Alomere Health in Alexandria. A memorial service will be held at 11 a.m., Saturday, March 30, 2019, at Faith Lutheran Church in Miltona with Rev. John Riggle officiating. Music is provided by organist, Kevin Lee and vocalist, Dedra Zwieg. A visitation will take place 5-7 p.m., Friday at Lind Family Funeral Home in Miltona. The visitation will continue one hour prior to the service at the church. Robert LeRoy was born on May 26, 1939, to Neal and Pearl (Chipman) VerDugt in Aitkin, Minnesota. He was raised in Eagle Bend where he graduated in 1957. He attended Machinist Art School in Minneapolis. Following his education, he worked at Hobart, Univac, Brown and Bigelow. Robert was united in marriage to Betty Ellig in November of 1958 and to this union, three children were born. Bob worked as a maintenance machinist for the Minneapolis Star Tribune from 1975 until his retirement in 1999. He was united in marriage to Kathy White on September 15, 1984 in the Twin Cities. Following their marriage, they lived in Somerset and Hudson, Wisconsin while they both continued working at the Star Tribune. They moved to Miltona in 2002. He belonged to multiple car clubs in Minnesota and the Alexandria Tractor Club. Bob enjoyed traveling and restoring old cars and tractors. He was an avid gardener and enjoyed canning and will long be remembered for his culinary skills. He left his legacy in books he made for his family about their heritage and family recipes. He was preceded in death by his parents; brother, Francis; and sister, Velda. Bob is survived by his wife of 34 years, Kathy; son, Brian VerDugt of Max, Minnesota; two daughters, Brenda (Paul) Arnold of South Haven, Minnesota and Bonita “Teeter” (Steve) Olmscheid of Clear Lake, Minnesota; 10 grandchildren; 10 great-grandchildren; loyal companion, Bosco; sister-in-law, Cheryl Kampa; brother-in-law, Royce White; along with a niece and two nephews. Urn bearers and honorary urn bearers are his grandchildren, Ashley Ingebrigtson, Nick Olmscheid, Amy Tubridy, Laura Hunt, Krysta Schultz, Rachel Arnold, Jaime Harris, Nikki Jahnke, Jake VerDugt and Jayme Meyer.